Author: Nichol, Barbara Set In . . . Description: Fragments of a handwritten letter have been discovered. Their author’s name is Margaret, and in the letter she describes her memories of a summer of her girlhood long ago when the dippers came up from the Don River. It was 1912, and a summer full of odd happenings. The letter tells of Margaret’s first encounter with her father, of her mother’s worry that she might lose her job as a maid, and of her little sister’s being overtaken by paralysis and disease. 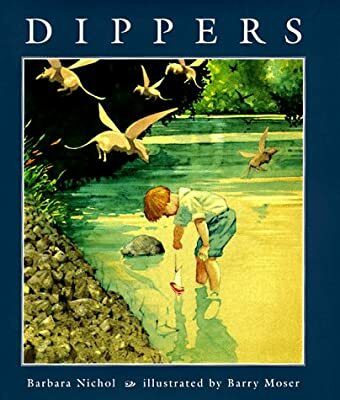 And, of course, there were the dippers moving up from the river to inhabit the neighbourhood – furry, ungainly, dog-like creatures with leathery wings – creatures unnerving but not dangerous, yet another fact of life to become adjusted to.